Convert your Lowrance GPS waypoints and tracklogs to DXF in two easy steps with ExpertGPS. Using the Receive from GPS command, you can download the waypoints, routes, and tracks in your Lowrance GPS receiver over a serial cable or USB connection. ExpertGPS will show all of your GPS data over seamless USGS topo maps or aerial photos. ExpertGPS lets you delete any unwanted GPS data, or edit your data to give it more meaningful labels before converting to AutoCAD's DXF format. ExpertGPS will automatically convert your field-collected Lowrance GPS data to a DXF drawing exchange file which you can open in ACAD or any other CAD software. Unlike other DXF converters that can't upload and download your GPS data, ExpertGPS can also send DXF directly to your Lowrance GPS receiver. 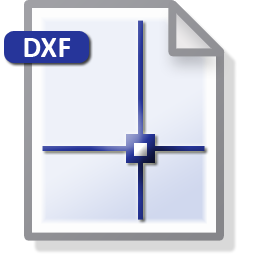 Simply click the Import Command on the File Menu to open any DXF file. Then just click Send to GPS to send the DXF file to your Lowrance GPS. 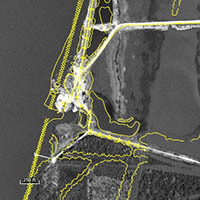 ExpertGPS Pro is the best software for merging GPS-collected data with your engineering files. Preview your next job site on the maps in ExpertGPS, and map out a route to follow. Mark new features in the field as waypoints (or take photos with your digital camera) and when you return to the office, ExpertGPS will place them on the map automatically. Make any changes or add additional notes, and then export the data back to your CAD software in DXF format. With an easy learning curve and a price your organization can afford, ExpertGPS Pro lets everyone in the office collect, view, and work with geospatial data. ExpertGPS Pro works with your entire office's collection of Lowrance GPS receivers, giving you the mapping, GPS transfer, and spatial data entry tools you need to get your next job done in record time.